Stories about running, travel, health, and life. Hi! We're Susannah and Laura. 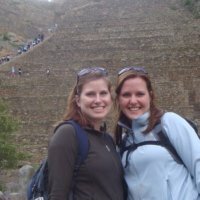 We're sisters who enjoy running, traveling around the world, and just generally being nerdy. One of us is a huge trapeze fan and one of us loves baseball statistics. This is kind of our public journal. We both trained for and finished our first marathon in 2011.